First Priority Emergency Vehicles has been customizing trailers and emergency trailer conversions for over 20 years! First Priority Emergency Vehicles have customized many mission-specific emergency response trailers. 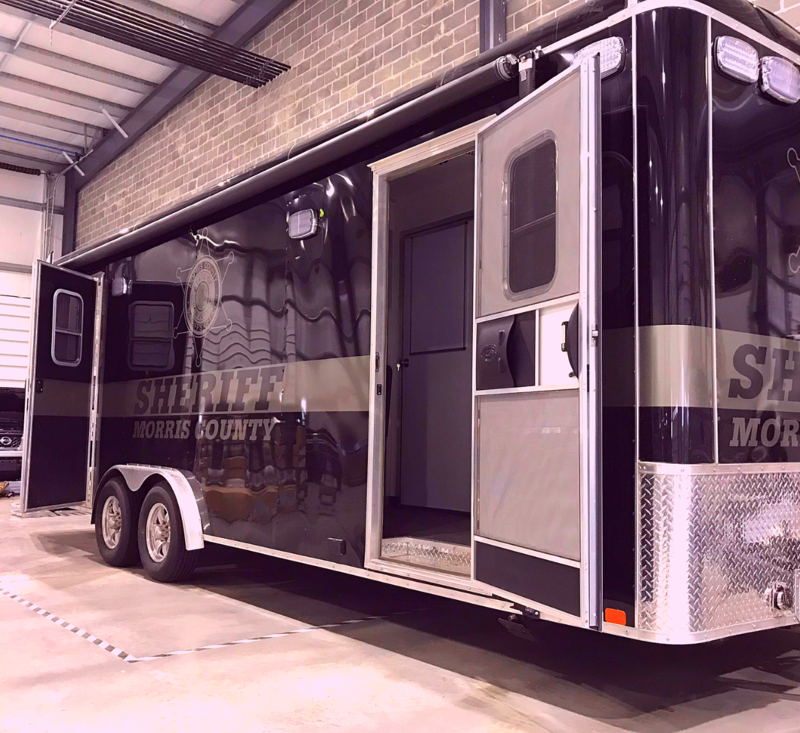 Custom emergency trailers packages can include electrical power and lighting, HVAC, supplies and exterior graphics. 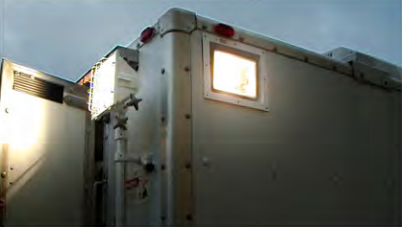 We have the equipment you need for your custom emergency trailer. This often includes an on-board generator, shelving and a cargo strapping system. Our Specialty Vehicle Conversion sales representatives and experts can help you with every step from design through delivery. 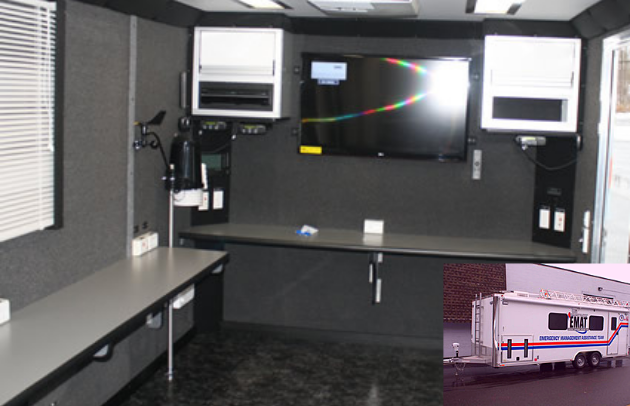 Our custom emergency response trailers may be used as a mobile communications center used for incident management. Custom trailer's wide variety of communications capabilities allows for constant contact with different agencies in an emergency. 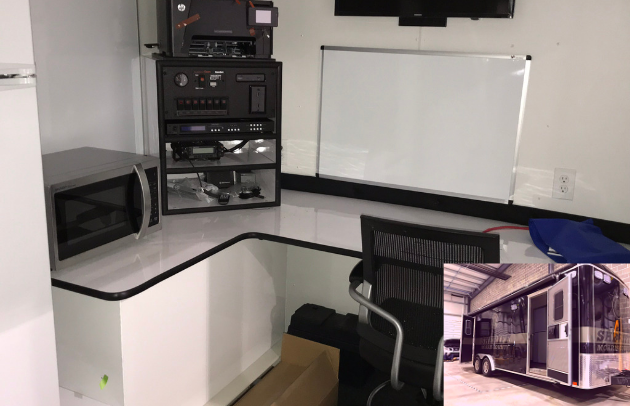 If you need a custom trailer to serve your organization, we encourage you to reach out to us today. Complete the form below or call us at 973-347-4321. Ranger Design gives your van the extra payload it needs to stay competitive. Tough enough for your biggest jobs and quiet enough for a peaceful ride. We understand that you need your vans ready for work as soon as possible! Tough enough for any job, built with high quality, high strength materials. 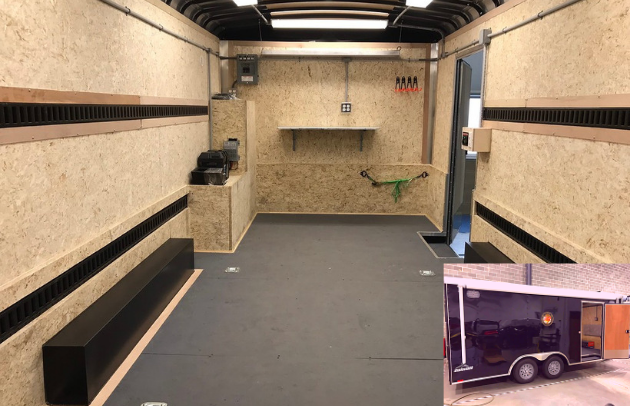 Whether you have a cargo van, cube van or enclosed trailer, Ranger Design has a solution that can help you get you organized and maximize your commercial vehicle’s cargo space. With state-of-the-art products like the Max Rack Drop Down Ladder Rack, Ranger Design leads the industry with ground breaking products. All of Ranger Design’s products are built using heavy duty materials and have been engineered to be quiet and rattle free. Rugged high-powered LED scene or work lights illuminate critical areas. Pale and flush mount options provide a mix of solutions for any situation. 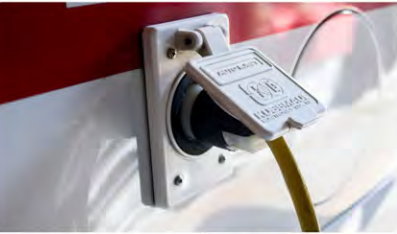 A receptacle mounted on the vehicle provides on-board electrical power while at bay or on scene when available. Designed to eject once the key is in the start position.